Educational intelligence is a new approach informing the future of successful MAT and school education leadership. 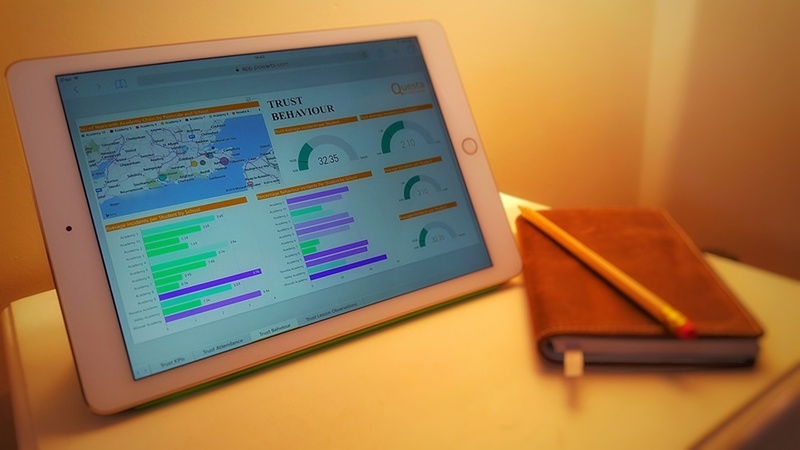 Using carefully selected filters and analytics from multiple data sources, trust managers and school leaders can face the call for greater accountability, by accessing and correlating all the right data to make informed choices for their trusts and schools. Questa is the engine that drives this advancement, inspired by over 15 years of experience, delivering independent ICT advisory services to the Education sector. Questa provides a 100% cloud-based data delivery service with a comprehensive view of progress for all key stages, across all the schools in a trust. Our dashboards are fully automated - updating instantly as new data is entered into our systems. 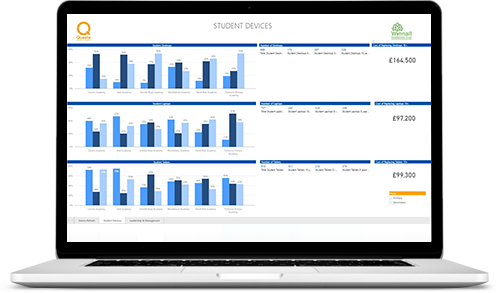 Questa data can be uploaded from multiple MIS systems and numerous other sources such as behaviour management systems, assessment tracking systems, lesson observation systems or individual school data bases or Excel spreadsheets. 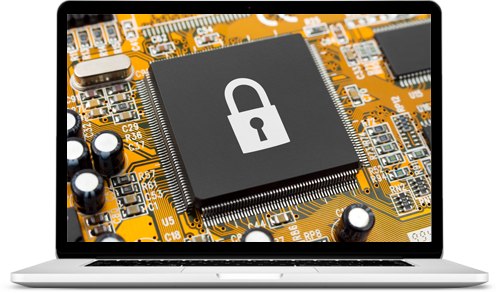 Questa data is held securely, hosted in a Level 1 data centre and transmitted over HTTPS with 128 bit encryption. Questa dashboards are designed to enable comparison between subjects, student groups, and years. In fact anything that seems pertinent to the trust or school e.g. the performance of students from different feeder schools, can be built into the data models. 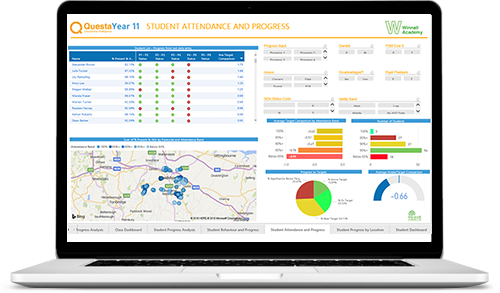 Whilst we provide a standard set of dashboards all of these are fully customisable to meet the requirements of a particular trust/school. Additional dashboards can also be provided e.g. tracking the impact of interventions such as a drive on literacy. Questa's interactive analytics provide real-time secure data at both trust AND school level. No need for your schools to purchase a separate service to track progress scores and best practice; Questa does this job too - 24 hours a day, seven days a week. Teaching and administrative staff at each school can quickly scrutinise a wide range of information, ranging from behaviour incidents and targets through to termly assessments and final exam grades. 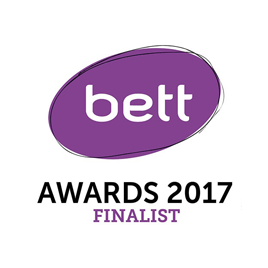 A big plus for schools is that Questa is available online so it requires no technical expertise on site. All you need to use Questa is internet access.